Hadiach or Hadiache [Гадяч or Гадяче; Hadjač or Hadjače]. Map: III-14. City (2011 pop 24,132) on the Psol River and raion center in Poltava oblast. Established in the 15th century, it was granted a city status in 1634. A castle was built here in the 17th century and later expanded into a fortress. Under the Hetman state Hadiach was a fortified regimental center (1648–9, 1672–1783) (see Hadiach regiment). There Hetman Ivan Vyhovsky concluded the Treaty of Hadiach with Poland in 1658. In 1663–68 it was a residence of Hetman Ivan Briukhovetsky and the main center of Left-Bank Ukraine. 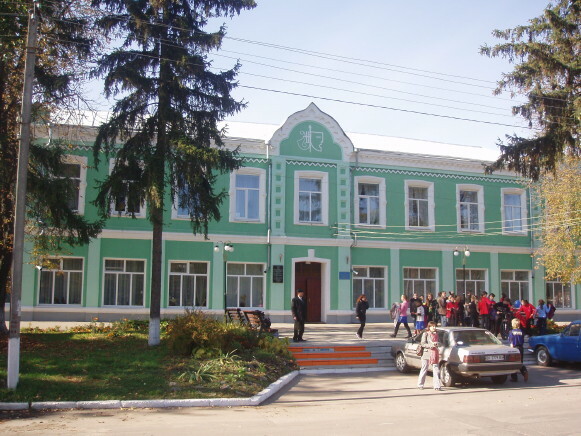 Under Russian rule it was a county town in Poltava gubernia (1803–1917). The scholar and civic leader Mykhailo Drahomanov was born there in 1841. In the early 20th century Drahomanov’s sister, Olena Pchilka, published in Hadiach the journal Ridnyi krai and its monthly supplement, the children’s magazine Moloda Ukraïna. Today Hadiach’s industries include petroleum industry, natural gas industry, machine-building, light industry, and food-processing. The Petro Prokopovych National Research Centre of Apiculture, the Ivan Kotliarevsky State School of Culture, an apiculture museum, and the Drahomanov Family Literary Memorial Museum are located there. As a burial place of Rabbi Shneur Zalman, the founder of Chabad, a branch of Hasidic Judaism, Hadiach is also an important pilgrimage center for Hasidic Jews.